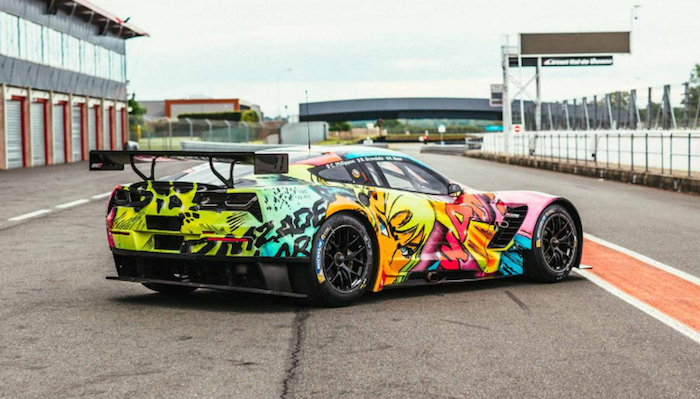 French Corvette Racing arm Larbre Competition has debuted their new C7.R art car for the 2017 24 Hours of Le Mans. 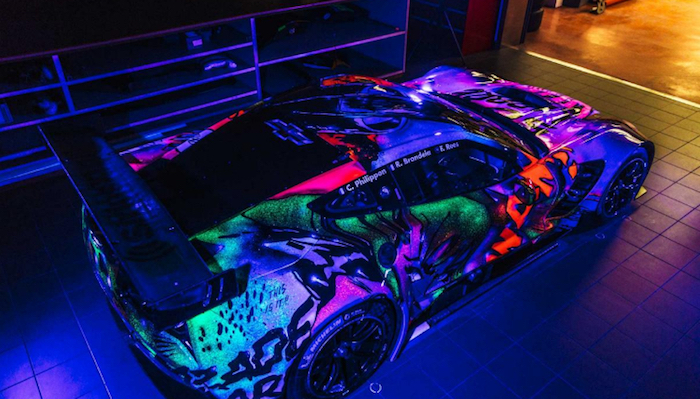 The glow-in-the-dark livery was painted on by hand by French street and pop artist Ramzi Adek. Dubbed ‘Animal!’ it features bright comic book inspired graphics laid over a black base. The graphics glow-in-the-dark as well, which should help the eccentric C7.R standout in the night portions of the race. Larbre is running a shortened FIA World Endurance Championship campaign this year, electing to only run in the GTE Am class at the 24 hours of Le Mans as it prepares a GTE Pro entry for 2018. If the plan comes to fruition, it would be Larbre and Corvette’s first ever foray into the WEC’s competitive Pro category on a full-season basis. The ‘Animal’ Corvette C7.R will take to the track for the first time this weekend for the annual Le Mans test, in which it will be driven by Fernando Rees, Christian Philippon and Romain Brandela. More photos of the car are available at this link.